Hello, AOXXX are my notes in my own learning way for several matters. I have updated my win32 tuto/notes. Edit: By the way, it is mainly written in TinyC and when I have time, I write it also in asm. So there are many "broken" links to the asm counterpart, it just means that it is not written yet. If anyone interested, I have upgraded my AOW32 tuto to v0.1.4. + Chapter 6. Adding a GDI+ section. + Chapter 3. Adding a MDI text editor. + Chapter 5. Adding auxiliary modal/no modal windows. + Chapter 11. Adding to the dropdown menu the sections of this chapter. + Downloable the entire book. AOW32 is far from finished, but I think that there are already many things. English version is yet obsolete, I will do it when I have time. There is an English version (click the England flag). Many thanks for your Tuts! Hello avcaballero, where can i download AOW32.014.7z? There's no way for that at the moment. Here is a free direction tunnel demo. 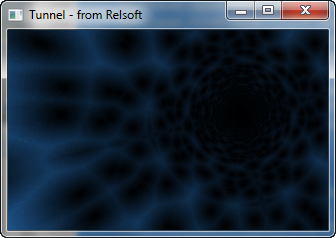 Another tunnel with tinyc source code.